1. 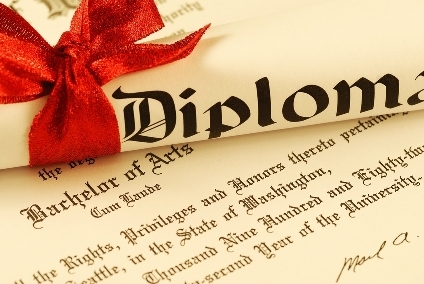 Will my child get a diploma? Yes. If you have met the minimum requirements set by your Homeschool Accountability group, you will be allowed to issue a diploma. 2. Will my child get a transcript? You will be responsible for creating your child's transcript, and keeping it up-to-date. 3. Can my child get into college using a homeschool transcript? If you have kept your records up-to-date, the transcript you provide may be sufficient for most colleges and universities. Please check with the college admission policies of the college of your choice. Most colleges and universities readily accept homeschoolers, however, there are some exceptions. More schools are now requiring transcripts to be prepared and signed by an accountability association. Please check with the school for their requirements. 4. What do I teach? 5. Where do I get Curriculum? You must purchase your own curriculum. CHOICE does not provide nor sell curriculum. 6. What do I do about a driving permit and Driver’s Ed? Check with the DMV to see what you are required to bring. Getting a License - This website will tell you everything you need to know. Driver's Ed: This varies with insurance companies, but the majority of them require that you have a certified driving instructor teach your child or you may not receive the insurance credit. Don't use "Driver's Ed in a Box"
Good Student Discount (10-15%) If your insurance company offers a good student discount, you may be able to use your semi-annual progress report as proof for this discount. Other insurance companies require a formal transcript. 7. What do I do about courses I don’t feel comfortable teaching? Many publishing companies offer video courses that can be used with more difficult subjects. CHOICE offers classes for high school credit through our ETC (Co-op) Classes. High School juniors and seniors are also eligible to take college courses for credit. See question 13 below for more information. 8. What do I need to know about grading? High school students’ grades must be reported as numerical grades (not letter grades) for transcripts for college applications and for class ranking purposes. The SC legislature approved a Uniform Grading Scale that is used to determine the student's grade point average for all the completed high school level courses. The information can be found on the SC Dept of Education website. Calculating the GPA is fairly complex. The South Carolina Uniform Grading Policy provides for different course levels depending on the difficulty of the work done. Courses with more difficult work may be given honors level status and will receive a higher score when converted to the uniform grading scale. 9. What counts towards class ranking? In calculating the GPA for class ranking, only classes considered as high school level classes are included. For example, Pre-Algebra is not considered a high school level course. Taking Pre-Algebra in 9th grade will count as a math for that year, but it is not counted toward graduation credits or the student's GPA. This is the SC Grading Policy for completing the class ranking for the scholarship money. For more information about the Uniform Grading Scale, click here. 10. What is a College Prep (CP) course? College Prep courses use standard high school textbooks and are the standard high school level courses. The student must complete 80% of the text. You may use a combination of curriculum or unit studies but be careful to research what the public school work for the class involves and plan to meet or exceed that level. 11. What is an Honors (H) course? Honors courses are advanced courses offered in the core subject areas (science, math, history, English.). The requirements for honors courses are greater than for college prep courses. The SC Department of Higher Education has a document which must be completed to document honors level course work. Taking a class before high school (e.g. taking Algebra 1 before 9th grade) does not necessarily qualify it as Honors. 12. What is an Advanced Placement (AP) course? Advanced Placement courses are taught at college level using college level textbooks. AP courses have pre-requisites at the high school level. (For instance, to take AP Biology, a student would need to have completed high school biology and chemistry.) Home schoolers may call a course AP if they meet the requirements for that course set out on the AP website. Homeschoolers may take any AP exam - even if they have not taken an AP level course. Successful completion of an AP exam does not allow you to call the course AP. The course must meet the AP requirements. 13. What is Dual Credit/Dual Enrollment? Dual Credit or Dual Enrollment courses are those taught at a local college. The student is given credit for both the high school (1 unit) and college level (typically 3 hours). Some of the local colleges which offer dual enrollment classes are Southern Wesleyan University, Tri-County Tech, Anderson University or North Greenville University and Piedmont Tech. You must supply the college with a current transcript. Some colleges require the ACT or SAT to be taken prior to acceptance, others have an entrance exam of their own (COMPASS Test). You are responsible for any fees incurred with dual enrollment. To receive proper credit on the high school transcript, please submit a copy of the college transcript. Only credit bearing courses are eligible for dual credit. Remedial courses and courses which do not list credit earned will not be accepted. If your child fails a credit college course, this will be reported on the high school transcript. Dual Credit courses receive a higher credit point than typically college prep or honors courses. 14. What about the PSAT and SAT? High School students are encouraged to take the SAT or ACT exams. Many colleges require them for entrance. They are also used to determine scholarship eligibility. Home school students are not required to take end of year state exams. Some curriculum publishers offer exams for purchase for their courses. PSAT - Please click here for more info about the PSAT. 15. How do I find out about scholarships? You may find available scholarships at www.scholarship.com or checking the reference section of your local library. For information on the LIFE and HOPE Scholarships, click here. Here is a website to help your child prepare for college. 16. What types of electives does my child need? - P.E. - any type of sports or lessons such as archery, tennis, etc. - Civil War, Russian History, World Geography, etc. 17. Will my child get to participate in a graduation ceremony? Yes. CHOICE offers an annual Graduation Ceremony, typically held the 2nd or 3rd Saturday in May. 18. Can my child graduate with honors? - 3.8 grade-point average based on a 4.0 scale. - 90% on the composite battery on the IOWA, Stanford, or California achievement tests would also be accepted. 19. What if my child is ready for High School credit before 9th grade? Students in 7th and 8th grade may earn high school credit for courses in core subjects (not including Electives or PE). Typically one may be earned in 7th grade and two in 8th grade and should be transferable to another school. However, this is up to the school's discretion. They may choose not to accept your course and may require testing to determine class placement. 20. Can we participate in programs sponsored by the public school (sports, music, etc.)? As of the 2012-2013 school year, home school students are eligible to participate in public school programs. Click here for information on the law. Click here for the Intent to Participate form which must be submitted to your local Superintendent. The state of SC does not require testing of homeschool students.